Co-Chairs: Nolan Johnson Nolan.johnson@nebraska.gov and Rob Bozell rob.bozell@nebraska.gov. 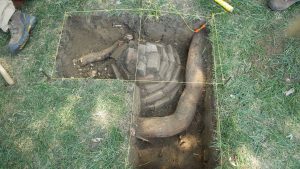 We welcome abstracts from archaeologists and students working on projects in the central Plains and surrounding areas. Presentations from the other sub-fields of Anthropology are welcome, as are discussions related to tribal organizations. Abstracts can be emailed to Nolan.johnson@nebraska.gov and are due on March 1st, 2019. Additionally anyone planning on attending the conference but not presenting a paper please let Nolan Johnson know with an email to Nolan.johnson@nebraska.gov. It will help the organizers plan the Friday events if we have an estimate of attendees. Thanks to all and see you in Lincoln!